This year I wrote a blog called Unexplained Noise about the noises that render us unable to work or function. This falls under the heading Noise Pollution - the displeasing human, animal or machine-created sounds that disrupt activity or balance of human or animal life. The human brain is generally surrounded by ongoing external noise carefully selecting that which aligns with ones activities at a given time - quickly determining whether nor not the person should address the noise or chatter. The noise can be subtle, allowing your brain to filter it out - such as the traffic below me on the street now I am paying no attention to, or something that suddenly happens that beckons our attention - such an alarm sounding or the caw of a bird flying overhead - that change our focus. Behavioral reaction, and reaction time, are determine by many factors that affect each person based on the electrochemical processing in their brains, and external stimuli. The noise that drives one person crazy, may be totally filtered out others - selective listening and conditioning. Did you ever stop to consider that when someone tells you their problems over and over - just the sound of your phone ringing and seeing their name pop up - is, in a manner of speaking, noise pollution for you, as it drives you crazy. What are we all seeking? Peace and quiet in a balanced environment that will remain that way. It ain't gonna happen in this reality. Pause for a moment. What do you hear that you were not paying attention to a second ago? No matter where you live, no matter what experiences your programming takes you on, noise - noise pollution - will find you, hopefully for a quick moment in your day, and nothing that drives you crazy. If the noises that surround you are too loud, they can, and will affect everything in your consciousness. As the program comes to 'resounding' end ... noise focus is important. 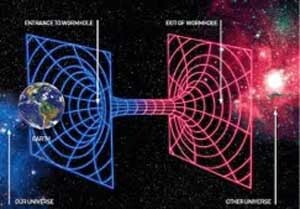 It all began with a tone (harmonics, horns and cones, Big BangTheory) - and so it shall end as the wormhole between this reality and all others collide and implode. Here in Brooklyn, back in 2006, many people experienced something they named the Bay Ridge Hum which was determined to be some sort of mechanical noise that drove people crazy. Luckily I escaped it and eventually the problems was resolved. I did hear it on one occasion, as I am a person who 'listens up' all day - dialoging with Z and other spirits - that noise would have hampered the way I function here. The word noise comes from the Latin word nauseas meaning seasickness. The source of most outdoor noise worldwide is mainly construction and transportation systems, including motor vehicle noise, aircraft noise and rail noise. Poor urban planning may give rise to noise pollution, since side-by-side industrial and residential buildings can result in noise pollution in the residential area. Sometimes the noise has no explainable source of origin, such as the Taos Hum. Not from far here in Brooklyn, a droning noise was driving people made for months. The word "noise" is derived from the Latin word "nausea," meaning seasickness. Noise is among the most pervasive pollutants today. Noise from road traffic, jet planes, jet skis, garbage trucks, construction equipment, manufacturing processes, lawn mowers, leaf blowers, and boom boxes, to name a few, are among the audible litter that are routinely broadcast into the air. Noise negatively affects human health and well-being. 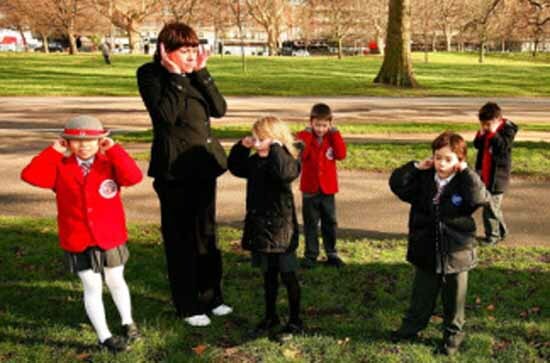 Problems related to noise include hearing loss, stress, high blood pressure, sleep loss, distraction and lost productivity, and a general reduction in the quality of life and opportunities for tranquillity. Yes, noise, too, is a form of pollution, often little recognized and regulated. Mostly man-made, it bears potential health and environmental hazards in much the same way that physical pollutants do. Noise is one of the most complex and least understood forms of pollution. The scientific community has been working hard to change that. Over the past decade or two, the evidence of how noise can harm health - and how many people are affected - has mounted. So has pressure to control or mitigate excessive, unwanted sound.